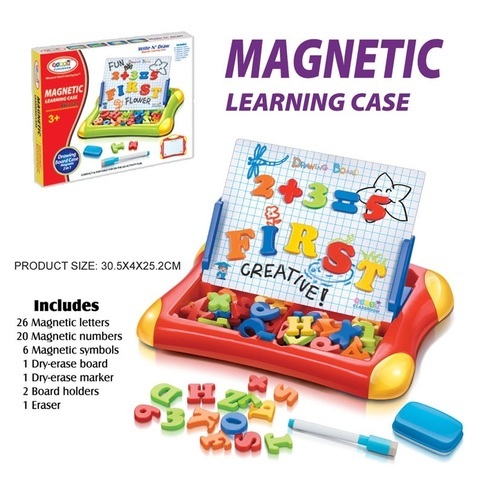 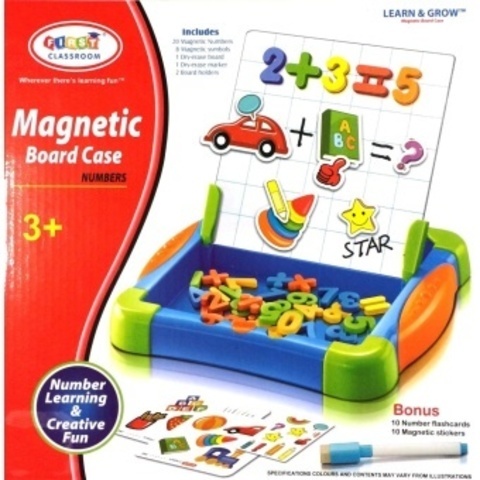 Made of durable plastics, it contains 26 magnetic letters, 20 magnetic numbers, 6 magnetic symbols and some other accessories. 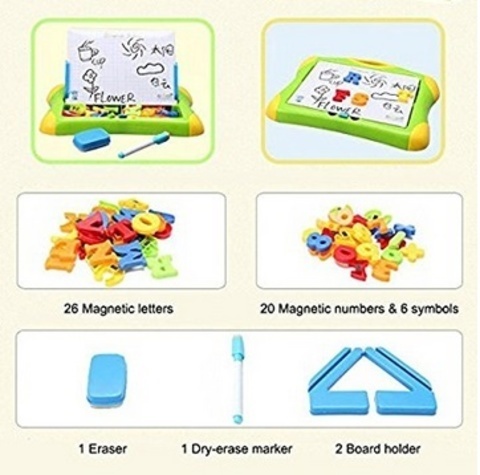 Children can learn letters (A to Z), numbers (0 to 9) and arithmetic. 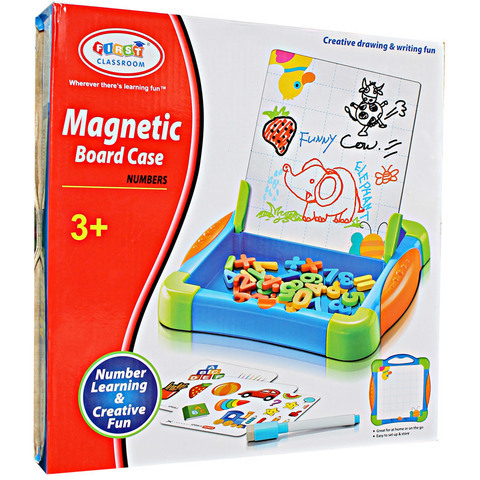 Kids can draw what they imagine, helping to stimulate their imagination and operational ability, which is perfect for early learning. Case design, convenient to carry out or hang on the wall.